Scattered rain and snow showers. Some thunder is also possible. Mostly cloudy, with a low around 32. 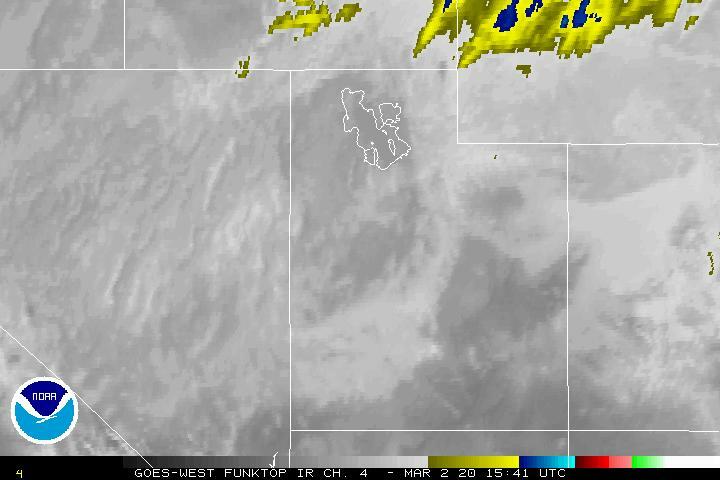 West southwest wind 13 to 16 mph. Chance of precipitation is 30%. Little or no snow accumulation expected. A slight chance of rain and snow showers before noon, then a chance of rain showers. Some thunder is also possible. Mostly sunny, with a high near 46. Windy, with a west southwest wind 17 to 22 mph increasing to 27 to 32 mph in the afternoon. Winds could gust as high as 46 mph. Chance of precipitation is 40%. Little or no snow accumulation expected. A slight chance of rain and snow showers before midnight. Some thunder is also possible. Partly cloudy, with a low around 29. 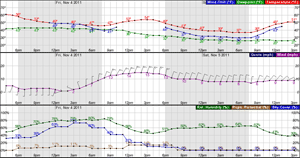 Windy, with a west wind 25 to 30 mph decreasing to 18 to 23 mph after midnight. Winds could gust as high as 44 mph. Chance of precipitation is 20%. A chance of rain and snow showers after noon. Some thunder is also possible. Mostly sunny, with a high near 45. Breezy, with a west wind 15 to 22 mph. Chance of precipitation is 40%. Little or no snow accumulation expected. Partly cloudy, with a low around 31. Breezy, with a west wind 23 to 25 mph, with gusts as high as 39 mph. A 30 percent chance of snow showers after noon. Some thunder is also possible. Mostly sunny, with a high near 45. Breezy. New snow accumulation of less than a half inch possible. A 20 percent chance of snow showers. Mostly cloudy, with a low around 26. Breezy. Snow showers likely. Some thunder is also possible. Cloudy, with a high near 37. Snow showers likely. Some thunder is also possible. Mostly cloudy, with a low around 26. Snow showers likely. Some thunder is also possible. Mostly cloudy, with a high near 35. Breezy. A chance of snow showers. Mostly cloudy, with a low around 23. Breezy.